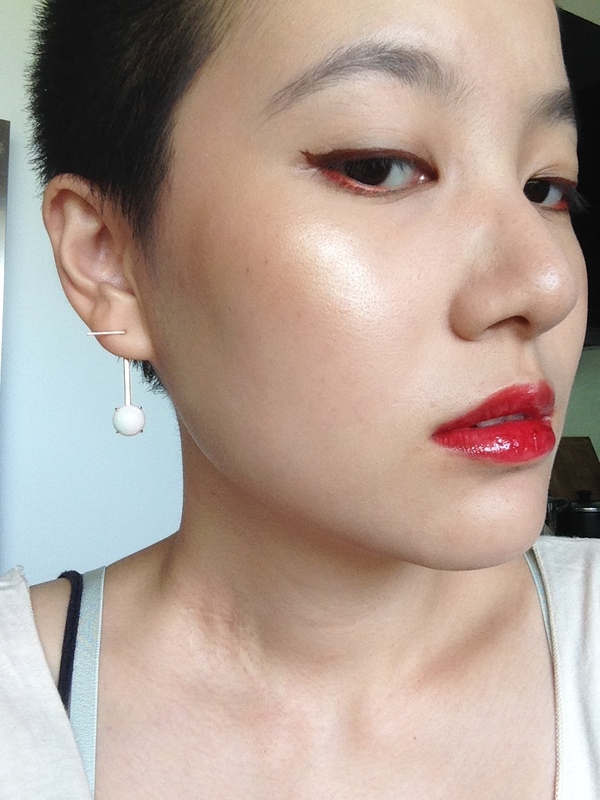 Found this FOTD in my photos folder. I’m not in love with this look, but it’s pretty experimental. 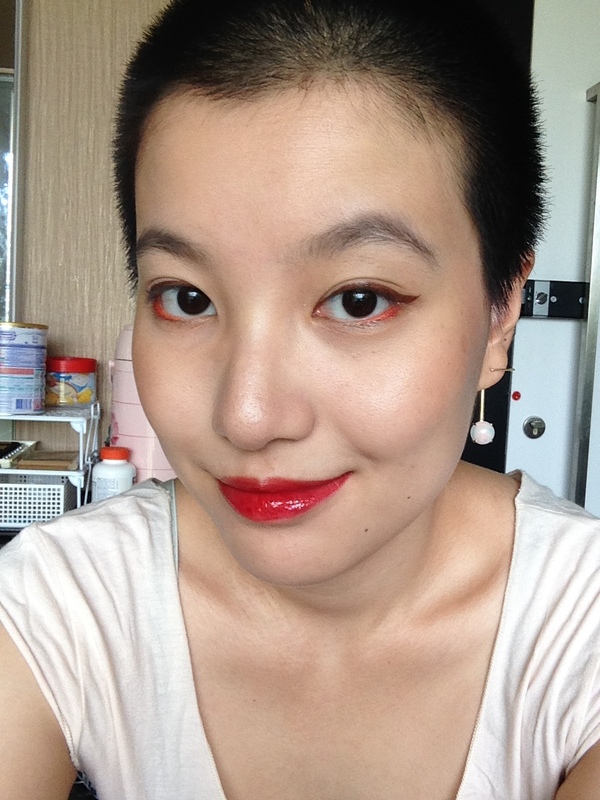 The red lips should be L’oreal’s Shine Caresse in Juliette. I love this formula, and the colour is good too. It’s not one that I reach for very often, since I can’t wear red every single day, but it’s pretty for sure. It’s a warm-toned red, that’s warm enough to look warm, but not orange enough to look like an orange lipstick, which is what a lot of warm red lipsticks tend to do on me. There are gold shimmers in the tube, but I can’t really see them on my lips. I’m not so sure about the orange red liner though, does it look like an eye infection? New Kiko Midnight Siren Collection picks! must say you’re pretty bold with your makeup! I can’t decide what funky colors like purple (or in your case, orange) are any good for – ‘cept for halloween. Do you have any outrageous make up looks? If you read my about, I don’t do super outrageous looks, my maximum is treading the line between socially acceptable and outrageous. xD this is already one of the bolder looks I do. Purple is still okay, it’s this orange liner I’m trying to decide what I can use for.